Spotted on celebs such as Amy Childs and Little Mix the jute bag is set to surpass all other promotional bags as a top trend this spring. 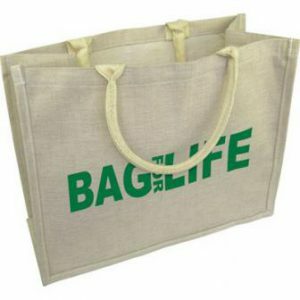 No longer resigned to the supermarket checkout, jute bags are now a fashion staple – a coveted item on which to promote your logo. Available in a vast range of sizes, the jute tote bag is not just a pretty canvas; it also provides a great print area for personalisation so plenty of room to add a logo, contact details, and a strapline. Giving jute bags as part of your advertising campaign is a sure fire way to get your logo noticed, as any recipient is certain to want to carry this ‘it’ bag everywhere! Organic cotton t-shirts are a popular alternative to traditional promotional t-shirts, especially the trendy skinny fit. Ideal for staff uniforms or to personalise with your message, an organic t-shirt will promote your brand to today’s eco conscious consumers. And did we mention price? No longer a high ticket item, eco t-shirts are an affordable fashion staple which won’t break the bank. 2012 is an Olympic year and that means sports promotions will be high on the agenda. Eco sports bottles are hotly tipped to become the ‘must have’ sporting souvenir offering a convenient and popular way to showcase your green values. And banish all thoughts of cheap recycled plastic, today’s eco bottles are made for the style conscious, on and off the field. For a distinctive promotion, nothing says ‘eco chic’ more than a stylish bamboo computer accessory. For office workers, how about giving a promotional bamboo mouse, made from environmentally friendly bamboo? 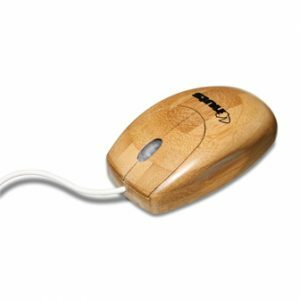 Used with great frequency, a mouse is an ideal way to keep your logo in view and can be teamed up with a bamboo USB flashdrive to give an air of real elegance to the workspace. With the current trend for all things vintage there is an increasing interest in promotional gifts with a retro look and feel. In some cases, the more rustic the better so an eco friendly notepad with retro looking recycled paper is the perfect backdrop for your logo. 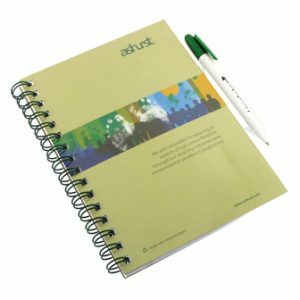 For added visibility why not accessorise with a recycled pen and hand out as part of your next green promotion. Remember, care about your carbon footprint, and your customers will care about you!